Stars and Strikes hosts parties and experiences for homeschooling groups. Our facilities have rooms if you need a private space to gather, plenty of lanes to host your group, and delicious food at our in-center restaurants. 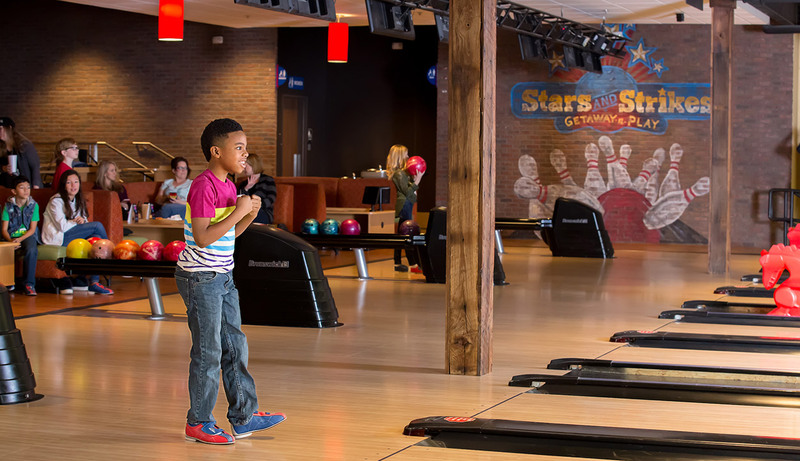 Stars & Strikes hosts field trips for homeschool groups that combine fun with education! Go behind the scenes and learn how a bowling alley works. Plan team-building activities to get to know your fellow homeschoolers better. Then, have some fun bowling, playing arcade games, riding bumper cars, or playing laser tag! Get your group together for a homeschool party or educational adventure. We’re a top field trip destination and we’re always happy to accommodate homeschool groups. Get the kids together for food they love, and fun activities that get them moving rain or shine. Bowling is a fun way to practice math skills, and many of the interactive arcade games at Stars and Strikes also offer opportunities to study topics like physics and statistics. We support and welcome our thriving homeschool communities. Faith-based homeschool groups are welcome at Stars and Strikes. We are happy to accommodate groups of any size for activities of all sorts. Throw a class party, have a fun field trip, go bowling as a group, play laser tag, or cut loose in the arcade. We have you covered.